A Maiden Voyage and a journey home. I thought this post was nice way to commemorate the maiden voyage of my new oven, and the return home of a seasoned journey-woman. Nana’s (that’s my mum) arrived home from one of her pilgramages to Japan early this morning. As usual, she bought back some lovely gifts for us all. Here you can see a strawberry bath bomb she bought for LT, he loves strawberries. 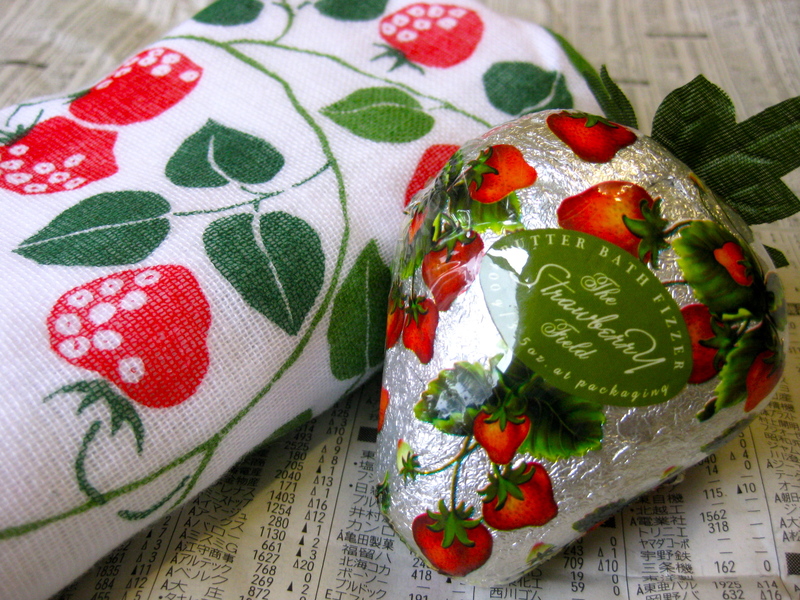 And the adorable terry-cloth tea towel, decorated with strawberries that she bought back for me. 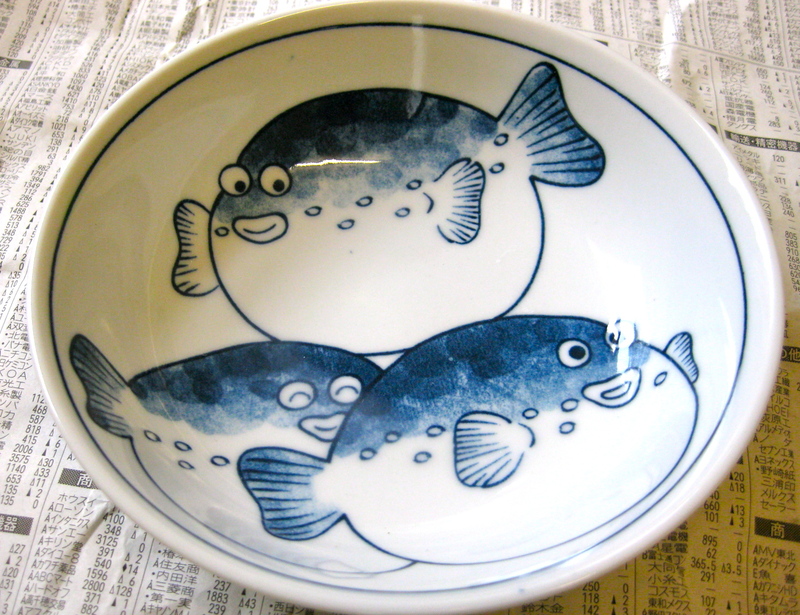 Here is the too-cute-for-words puffer fish bowl, mum bought for the boys. Plus the usual array of strange, chewy, spongy and odd-flavoured candies and tiny decorative bowls that she loves so much. Is it just me or is mine the most ill-equipped oven in Australia? I feel like I’m baking in the fifties, compared to the whiz-bang monster I took for granted all these years. However, the pizza I made on Friday was one of the best ever. The base was baked through and crisp and unlike any I’ve made before. 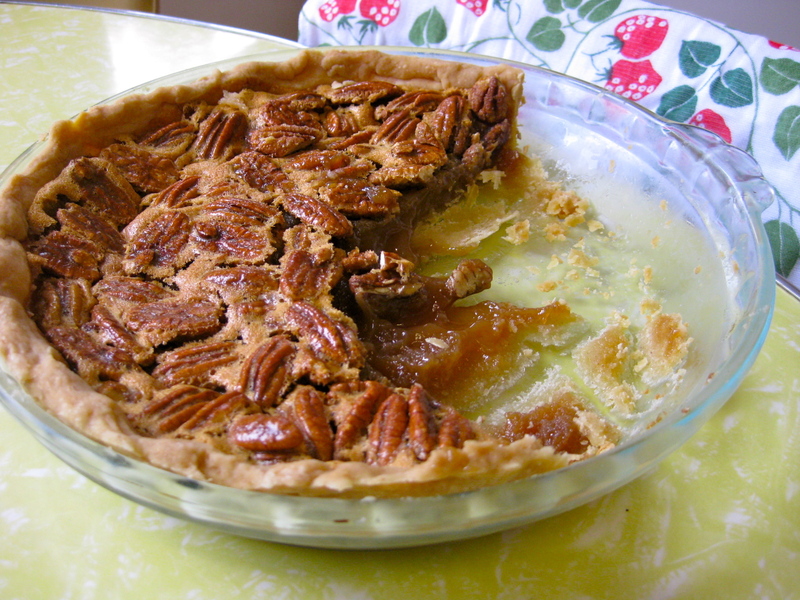 I made a pecan pie…but my glass baking dish and this apparently SLOW oven meant it wasn’t cooked all the way through. Even after nearly twice the cooking time recommended! I am now baking some choc-chip cookies. Just took the first tray out and I must say, I think this little darlin’ was built for baking biscuits!!! If I can come to terms with the extra time I will need for baking now – my last oven was exceedingly fast and hot (the saucy minx)- I can foresee a long and illustrious relationship between and my new oven.